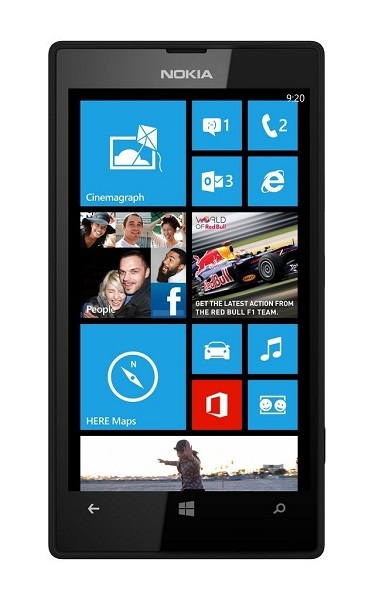 The Lumia 520 running on WP8 and comes with 4″ (inch) IPS 480×800 display. You can use the display with gloves in your hand. Dual-core 1GHz processor with 512 MB RAM. Not bad for a cheap phone. With the microSD slot you can increase memory upto 64GB along with its 8GB internal storage. Also WiFi, GPS, Bluetooth 4.0 and various sensors come built-in with this phone. The phone actually looks smart and stylish and have been very popular recently. With this Nokia Lumia 520 SIM free phone you need to use micro-SIM card. Standard size SIM card will not work, neither nano-SIM. Nokia phones are well known for the build quality and battery life. The Lumia 520 packed with a 1430mAh battery to keep it powered. Bit disappointing thing is the phone comes with only 1 camera. There is a 5MP camera at the back which can record video @720p. Camera will take nicer pictures but still there is now front camera for video calls. Other high street shops and online retailers are selling this phone for more price. Amazon sometimes reduces the price from its original. A nicer time to buy any product. If you are looking for a cheap Nokia Lumia 520 SIM Free phone, head over to Amazon UK site and order one now. Amazon will ship the item for free. There are cheap accessories available as well if you need any. 29/12/2013 – Now £100. Cheapest £99.40 from Digi-Fun. 28/12/2013 – The price is now reverted back to £97.29 from Amazon. If you choose from right side the cheapest you will get £95.40 with free delivery, sold by GSM-Fonz.